I will be presenting my workshop Paperplaster; the mold making revolution tomorrow at The Pottery Studio in Bryanston. I had always dreaded making molds until I came across this unbelievable way of working with plaster that not only cuts down mold making time but also uses about 75% less plaster than usual. The revolutionary paperplaster method has completely changed my approach to mold making. 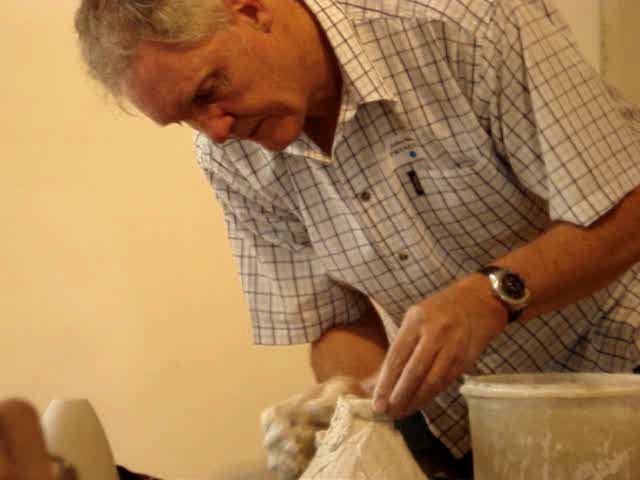 Introduced to me by Sandra Black as taught by Trudy Golley, this is an excellent introduction to basic mold making as well as a great new method for those more experienced in this area. New Work - At Long Last!